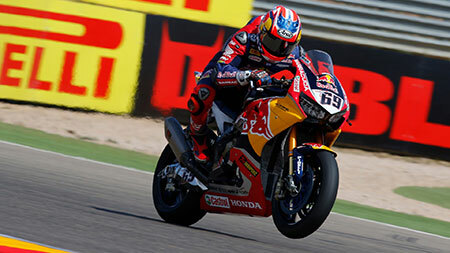 The former American professional biker, Nicky Hayden a true race legend cheated death many times in the line of ‘duty’. But fate drifted towards the other end as he met his demise on the road while riding his bike. As a matter of fact, it was in Italy he proposed his love, and also Italy became the sorrow nation for the Hayden family. How did racer Nicky Hayden die? Down below, we've covered every detail to several more questions surrounding his death and love life. Stick with us! Lovely Couple American Motor Biker Nicky Hayden and Jackie Marin: Did They Married? The MotoGP legend Nicky Hayden engaged to his longtime girlfriend, Jackie Marin, in May 2016. Nicky Hayden and his fiance Jackie Marin. Hayden, 35 (at the time of his death), proposed the lady of his life, Marin, a year ago in Italy. They sought to take it to the next level, as it looked, yet they couldn't make it. The engaged couple didn’t have any kids, although Hayden has adorable nieces and nephews. Nicky's fiance Jackie Marin was one of the stars of the TV Guide network’s short-lived reality series, Tequila Sisters. The show followed the lives of Jackie and her sisters, Lauren, Jen, and Catherine, where they portrayed a marvelous role as the children of traditional Mexican parents. The reality show depicted the Marin sisters’ Hollywood aspirations. Nonetheless, Jackie curtailed her showbiz career to devote more time to her fiance, supporting him during his races. Besides, Nicky's soulmate Marin loves boxing and is known to be an avid fan of Hispanic boxers. In addition, she is also passionate about music, for which she'd turned into reality, recording a song with her sister on the show. A house divided won't stand. Merry Christmas everyone! But the real question is, will she move onto the next man after the tragic incident of her love, that shook the world? Time is the answer, let's see! Until then, we pray and grief in the untimely and uncertain demise of Mr. Hayden, hoping the beloved family will heal from the biggest family loss. The late professional bike racer Nicky Hayden was cut short from life on May 17, 2017, in Cesena, Italy. Reportedly, Hayden was hit by a car while he was riding his bike. American professional racer Nicky Hayden dies at 35. The incident took place at the intersection of Via Ca’ Raffaelli and Via Tavoleto in Misano Adriatico. His bike collided with a Peugeot 206 CC while entering the Via Tavoleto from Via Ca’ Raffaelli. The surveillance cam, nearby the scene, caught that Nicky didn't heed to the stop signal. Above all, it revealed that the driver of the vehicle could not avoid him. Following the crash, Nicky got rushed immediately to the Maurizio Bufalini Hospital in Cesena, where he sustained intense injury known as polytrauma. In memory of Nicky Hayden! Also, Nicky suffered a traumatic brain injury that resulted in severe cerebral damage along with a broken femur, broken pelvis, and multiple fractures. On May 22, 2017, five days after the crash, Nicky Hayden was confirmed dead. The driver who struck and also killed Hayden in 2017 was sentenced to one or two years of jail in October 2018. The driver who's guilty of road homicide had his driving license withdrawn and he must pay all court costs. The driver who was traveling in a Peugeot 206 at 70km/h on a road could have stopped and avoided the accident if he was traveling 20km/h slower. 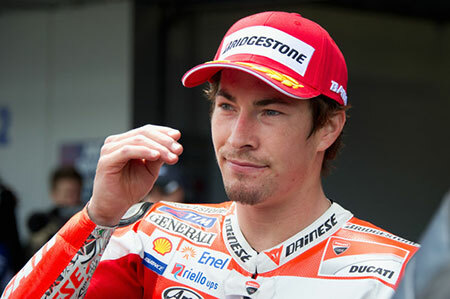 Nicky Hayden was born on 30th July 1981 in Owensboro, Kentucky, USA. At age 17, Nicky was racing factory Honda RC45 superbikes while he was still in high school. Nicky Hayden's estimated net worth was somewhere between $18 million to $20 million at the time of his death in 2017. In 2018, Hayden got inducted into the "AMA Motorcycle Hall of Fame". Nicky Hayden passed away on 22nd May 2017 Cesena, Italy aged 35.